Any business owner interested in Minority Business Certification. Bring your questions of course, but also bring your laptop. 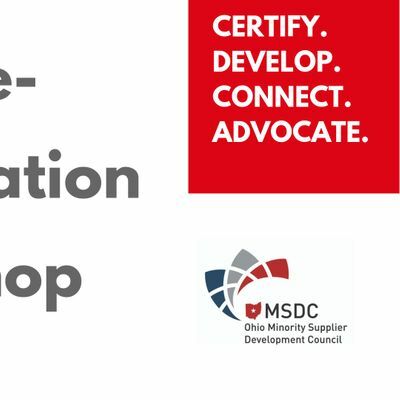 This workshop is designed to be a hands-on experience to help you complete your certification. The MBE Services team will share insights on how to complete your application. Learn how to utilize your certification. Ohio MSDC President Jacqueline Neal will be available to answer any questions as well. f the many benefits of NMSDC Certification can be summed up in one word, that word is access. Certification gives MBEs exclusive access to top corporate purchasing agents, premium networking events, searchable supplier databases, business development programs events, and meaningfulintroductions to nationally-known corporations.